If you find yourself taxing your ears or reaching for the subtitles button while watching TV, you might consider getting a sound bar. Any sound bar worth its salt should produce great audio that your TV could never match. Some sound bars even include an additional voice enhancement feature designed to sharpen dialogue, making it crystal clear, so you’re not pressing rewind because you’ve missed an important line. The poor quality of typical TV speakers can make speech in programmes and movies sound muffled and unclear. Most sound bars also come with a subwoofer for extra bass but sometimes these lower frequencies can be too boomy, overpowering dialogue and other details in sound. Read on to see some models that fall flat when it comes to speech clarity. Or jump straight to our Best Buy sound bars. Part of our rigorous testing includes assessing the speech sound quality of each model. During testing, we set each sound bar to what we think is the best setting for it. For the below models that scored badly for speech quality, we found that the speech setting wasn’t the best one to use. We’ve recommended the best setting for each model. Sound bars we’ve tested with speech enhancement features tend to be more expensive than those without them. However, we were interested to discover that their average speech quality score is lower than that of models without this feature. Product descriptions can be very convincing but many sound bars fail to live up to their promises. Unfortunately, it’s often not as simple as choosing a model with a certain feature and expecting it to work as it should. Below are some models we’ve tested that either scored well or badly for speech quality in our tests. 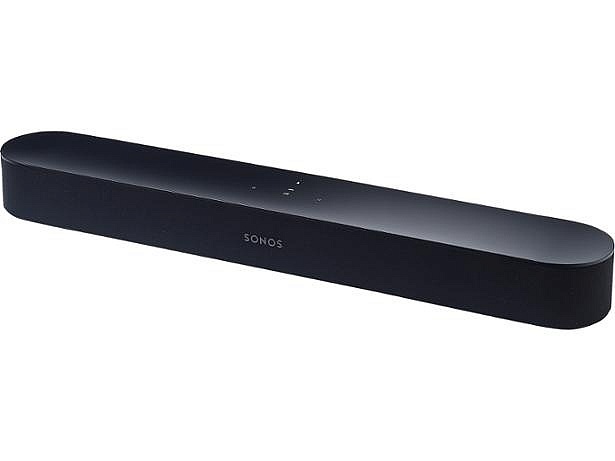 Follow the links to the reviews to get the full verdict on each of the sound bars. This model was crowned product of the year by What Hi-Fi in 2018. But we found its speech quality to be below average despite the addition of a voice enhancement feature. We used the Default setting to test this model because it was better than the speech enhancement setting. It’s designed especially for small to medium-sized rooms and you can choose to buy two additional Sonos speakers for surround sound, plus a subwoofer for extra bass. Built-in Alexa means it can double up as a voice assistant so there’s no need to buy a separate Echo Dot. You can use voice control to interact with all your smart devices, choose the right music playlist, or request news, traffic and weather updates. It’s compatible with AirPlay so you can stream directly from your Apple devices. Additionally, it runs independently from your wi-fi so its signal is expected to remain strong and consistent regardless of any wi-fi lapses. Countless sound bars have been put through our unbiased tests, so we know an excellent sound bar when we hear one. It may not be great for speech enhancement but find out whether it’s better at other things, such as bringing movies and music to life, by reading our Sonos Beam review. For a sound bar at this price point and coming from a big-name brand in audio, you’d expect immaculate performance. This high-end model looks the part and isn’t short on features, including Dialogue Mode, but our listening experts were underwhelmed by its ability to enhance speech clarity. We used the Center 100 setting during testing as we found it to be the best and the Dialogue Mode didn’t add to it. 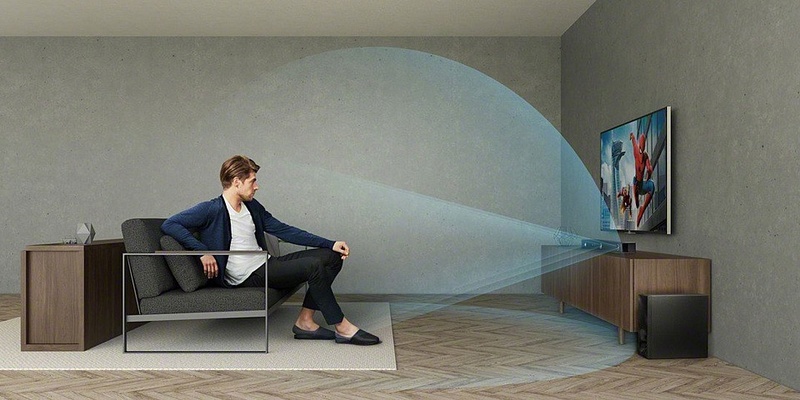 Bose promises room-filling audio despite its thin design, thanks to DTS for immersive surround sound. Plus ADAPTiQ audio room calibration is designed to create the most ideal listening experience that’s tailored to you by optimising the sound bar’s audio to suit your room’s characteristics. The Bose Soundbar 700 has built-in Alexa and should still hear your commands when the volume is high. An alternative way to control the sound bar is through the Bose app, which also provides a space to keep playlists from multiple streaming services, including Amazon Music, Spotify, Deezer and TuneIn. While it didn’t wow us with its speech quality, that doesn’t mean it can’t excel in other areas; even the high scorers still have flaws. Read our Bose Soundbar 700 review to find out if our discerning listening experts verified it a worthy purchase. The speech quality score for this one was also below average but there are plenty of other features that could compensate. We didn’t use the Clear Voice feature as we found the Movie Sub setting to be better. With this model, there should ideally be no need for extra ceiling speakers because DTS Virtual:X technology is added to create the illusion that sound is coming from above you, making sound effects such as thunder overhead sound realistic. There’s also the option to buy compatible MusicCast 20 or MusicCast 50 speakers for surround sound, and the device can also be paired with the MusicCast SUB 100 (sold separately). This model may appeal to you if you have other Yamaha MusicCast products because it’s part of Yamaha’s network audio system, MusicCast, which allows you to control all compatible devices using your smartphone or tablet. This means you can play music from speakers in every room or selected rooms in the house. You can also use the The MusicCast CONTROLLER app to control the sound bar. A hands-free way to control the sound bar is also available if you own an Alexa-enabled product – so, for instance, you can ask your Echo Dot to ask MusicCast to change the channel or lower the volume. Built-in Apple AirPlay and compatibility with all major music streaming services, including Spotify Premium, Tidal and Deezer, should make music streaming simple. Read our Yamaha MusicCast Bar 40 review to find out whether we were more impressed with this sound bar’s audio and other features than we were with its Clear Voice mode. This Sony model has the eye-catching features you’d expect from a high-end sound bar, including built-in Chromecast, which allows you to stream music, radio and podcasts, plus Dolby Atmos, the latest and most sought-after surround sound technology. Compatibility with Google Home and Amazon Alexa means you can control the sound bar and other Sony audio products with your voice. If you own a Google Assistant or Alexa enabled device, you can connect it to the HT-ZF9 for hands-free control. High-Resolution Audio and DSEE HX™ should enhance music quality, creating sound that is superior to CD quality, making you feel like you’re in the studio with your favourite artist. Different pre-set modes specifically for movies, music, games, news and sport mean the sound produced can optimise whatever’s playing so you experience it in its ideal format. There’s a button on the remote for every sound, plus another that promises to transform the audio in what you’re viewing to immersive surround sound. A heftier price tag can sometimes mean better sound quality. But in some unfortunate cases it can just mean more features – that may not work as they should – with no improvement on sound quality. This sound bar scored well for speech clarity, but check out the full review to see whether the Sony HT-ZF9 review impressed our experts in other areas. 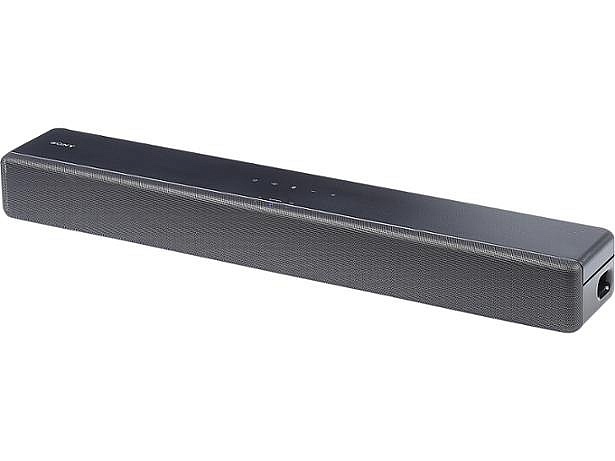 Described by Polk Audio as ‘the best Alexa-compatible sound bar yet’, the Command Bar has built-in Amazon Alexa, which means it works in the exact same way that an Echo Dot would. This allows you to use voice commands to search for information, stream music and generally control the sound bar. You can use the remote or Alexa to select pre-set modes to optimise what you’re watching – there’s a setting for news, sport, music and movies. It’s compatible with Amazon Fire TV (sold separately), which gives you access to popular streaming services including Amazon Prime Video, BBC iPlayer, Netflix, ITV player and All4. 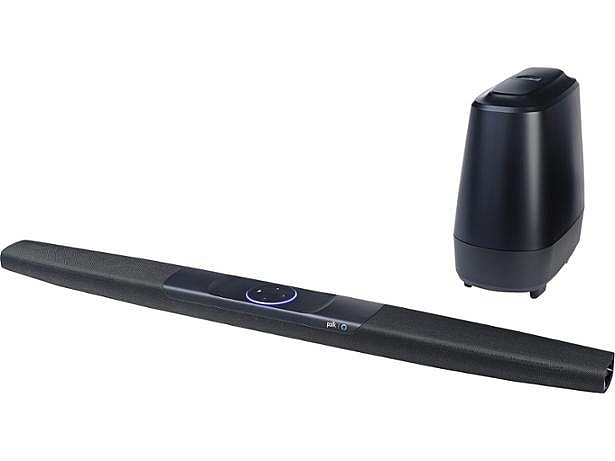 Beyond its smart features, the Command Bar is designed to create a captivating entertainment experience with features, including Dolby and DTS surround sound decoding for immersive cinema-style surround sound. The addition of Polk Voice Adjust Technology should make dialogue sound crisp and sharp, and the Command Bar performed well for speech clarity in our tests. 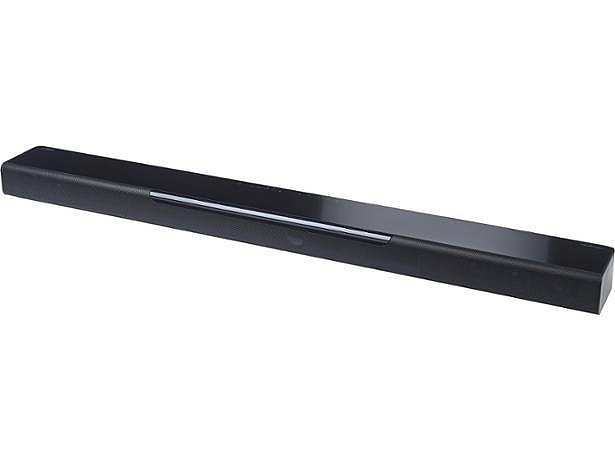 But if you want to buy a well-rounded sound bar that excels in all areas, read our Polk Audio Command Bar review to make sure you’re getting the most for your money. 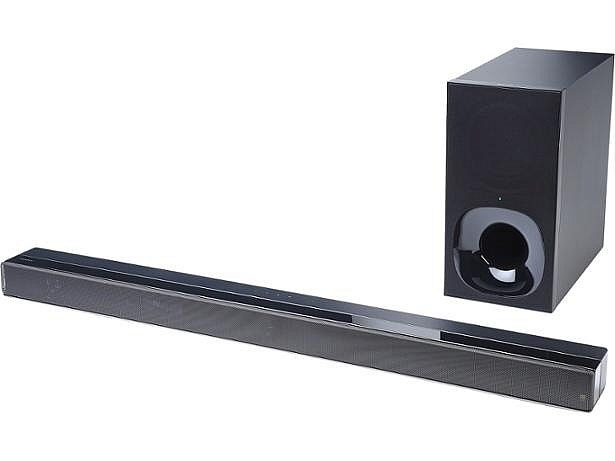 This simple all-in-one sound bar has a built-in subwoofer so it may appeal to you if you don’t want to make space for an extra box in your room. Sony promises powerful bass and clear voice detail from this compact model, and the latter was proven in our tests. Google Home is supported so, if you have a home hub, you can use it to control the sound bar with your voice. It can be wirelessly connected to compatible TVs, removing the need for messy wires, and you can also use your TV’s existing remote to control it. The addition of virtual surround sound technology should make movies, sports and music sound amazing. Read our Sony HT-SF200 review to find out how much better it is than your TV at successfully imitating cinema-style surround sound.